Wonderful! It works! Many thanks! I tried this but it isnt working for me on Mamp Pro. 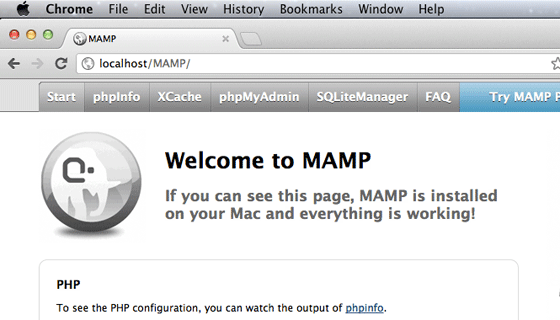 When I try to reset the port to 80 in Mamp, when I visit url it automatically goes to :3128…. any idea why? my hero! been debugging this puppy for for days. ty, what a concise and easy fix. going in my knowledge base. bad news is the issue is repeating. i was able to utilize localhost all day w/out problem, after getting it back last night—using your fix. left the cave for several hours, came back and localhost gremlin resurfaced. i noticed that i have to run your sequence a couple of times to work, and best to reboot the mac entirely before initiating your fix. if this thread is still active.. is it? any insight as to where its originating? i have a feeling it’s going to be a regular dance, but thanks for providing a meaningful tool. @Mazal, I used to face the same issue initially, and I realized it’s the best to start MAMP before anything else when I switch on my Mac. Days later, the issue didn’t recur even when I started MAMP after using the Mac for quite a while. Only thing I notice is that Apache might take a bit to start some time, but it does start nevertheless and MAMP hasn’t failed me again. @abhinav.. yes, i see what you mean. thanks. How do you get to run old software that formerly was running on port 8888? For instance http://localhost:8888/testdomain doesn’t run on http://localhost/testdomain even after updating the path in the database. Is this all lost now? Yo Sir… are simply awsm…!!!! Thank you! This fixed the MAMP problem under Mavericks! Just what I needed, Thanks ! I’m having the same problem while running MAMP Pro 3.5.2 with EL Capitan 10.11.6. But this fix isn’t working for me. Just can not get 80, 443 and 3306 to work. Then I noticed, when I try the first terminal line ‘sudo apachectl stop’ It is returning this: “/System/Library/LaunchDaemons/org.apache.httpd.plist: Could not find specified service”. Any ideas? Maybe something to do with running El Cap? Helped a lot and saved my hours..
Nice Work. Thank you. It help to save my time. Bless you, my friend. This has been driving me crazy and your solution fixed it for me!